Next-generation "second-skin" plant-derived fiber masks that perfectly hug facial contours, a thirst-quenching texture and concentrated super-ingredient formula for visible results in just 15 minutes. Coconut Face Mask: Nourishing & soothing for more relaxed, comfortable skin. Pomegranate Face Mask: Anti-Fatigue & energizing for toned and refreshed skin. Pineapple Face Mask: Pore-Perfecting & smoothing for a more even complexion and smoother skin. Green Tea Face Mask: Mattifying & Anti-Blemish* for fresh and clear, perfectly matte skin. Aloe Vera Face Mask: Moisturizing & plumping for more supple, moisturized skin. Algae Face Mask: Purifying & detoxifying for visibly fresh, pure and radiant skin. Lychee Face Mask: Ultra moisturizing & brightening for moisturized skin and a fresh, radiant complexion. - A refreshing range of face masks with super ingredients that meet the specific needs of facial skin. - Bio-fiber, second skin masks with a highly concentrated formula that deliver beautiful skin in 15 minutes flat. - Highly affordable single-use face masks in a practical travel size. 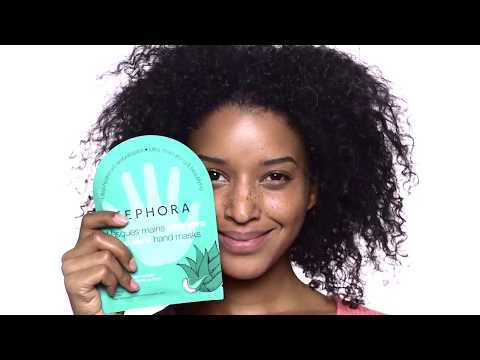 Next-generation Sephora Collection face masks for even more fun and effective results. *Consumer tested and satisfaction-rated by 21 volunteers after 28 days of use. Face Mask is rated 4.0 out of 5 by 7. Rated 4 out of 5 by Sakura from love it I love sephora masks because it is amazing. It moisturizes the face and gives it a glow. Rated 4 out of 5 by Samy17 from Refreshing The result is good and refreshing. It makes my skin feels refresh. Rated 2 out of 5 by Samxbhl from It’s okay I bought this just for my extra pampering session., it doesn’t do any wonders thou but feels relaxing.. keep it in fridge to cool it a bit, I do it and it feels goooood. Rated 5 out of 5 by Nikki from Awesome! Such a hydrating facemask❤️ I’m using Sephora face mask for the first time . It’s really reallly good on my face. Feels skin is more hydrated and fresh.